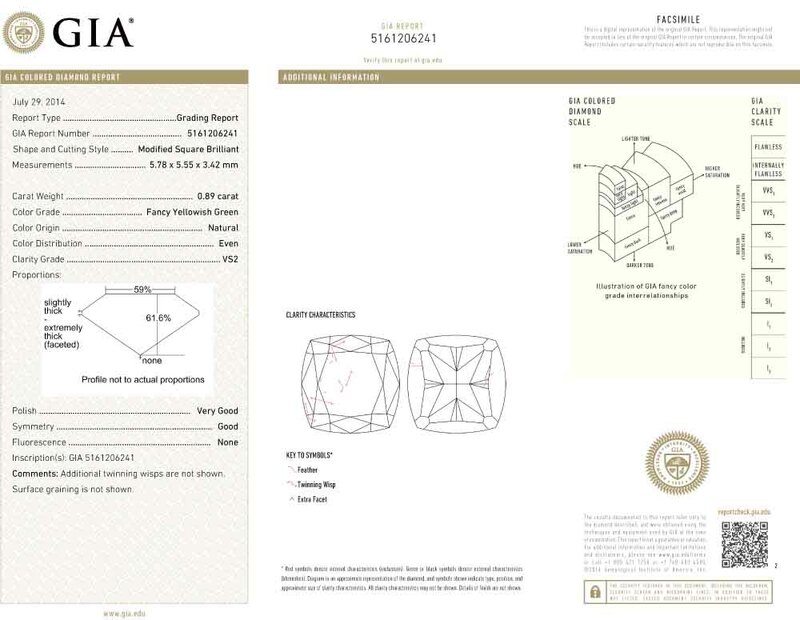 B8514 Cushion 1.04 ct. Fancy Light Greenish Yellow VS1 $7,280 View Comp. 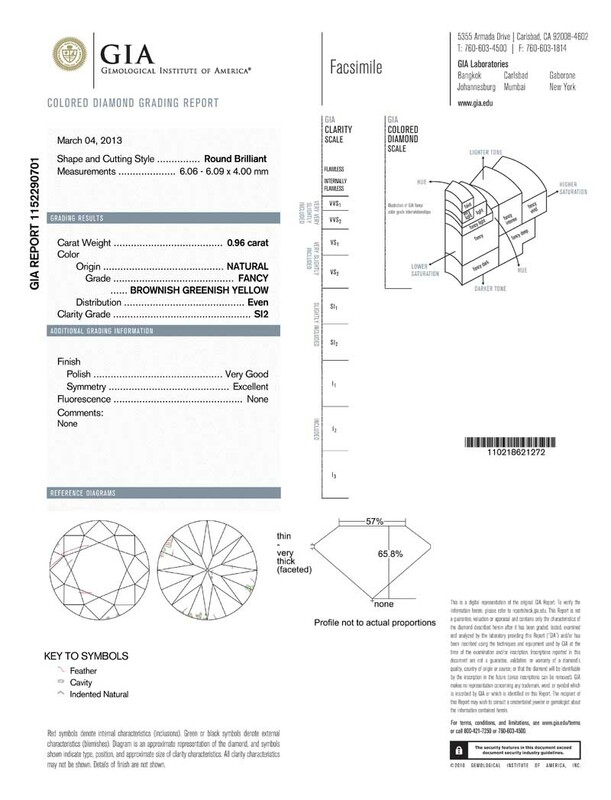 BB038 Radiant 1.04 ct. Fancy Deep Brownish Greenish Yellow SI2 $4,160 View Comp. BB010 Round 1.03 ct. 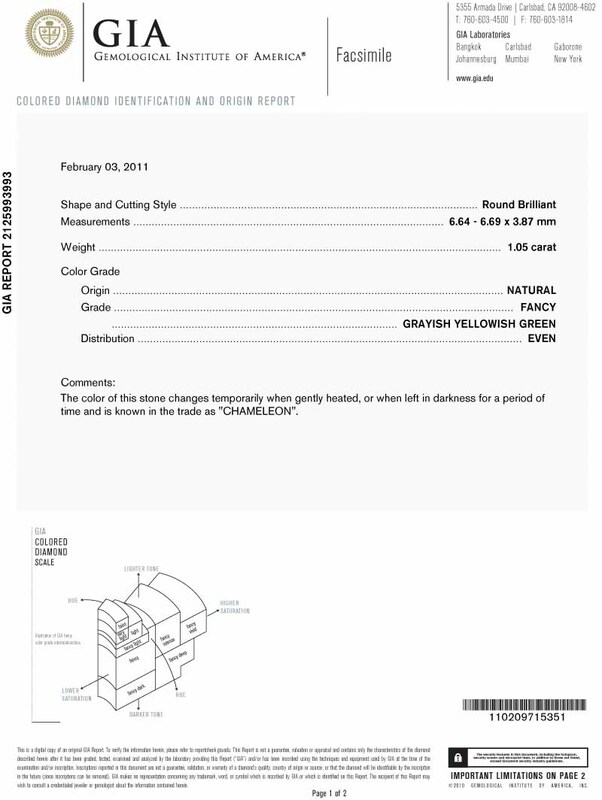 Fancy Grayish Greenish Yellow SI1 $3,502 View Comp. 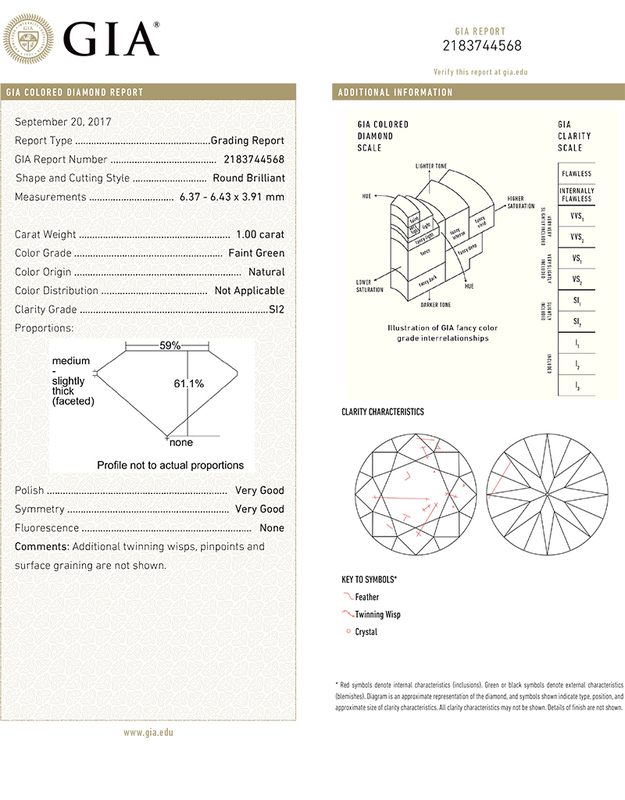 BA09515 Round 1.03 ct. 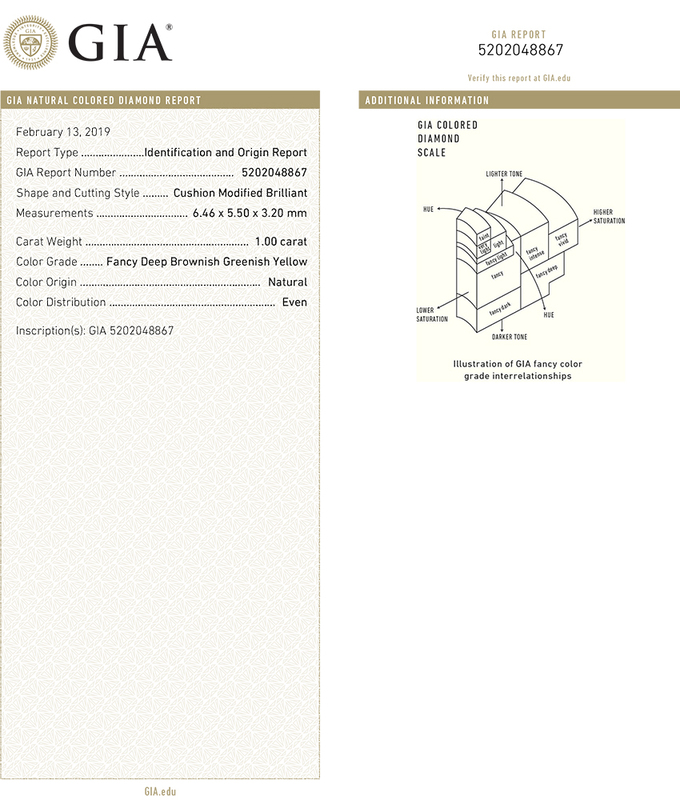 Fancy Grayish Yellowish Green SI1 $8,240 View Comp. 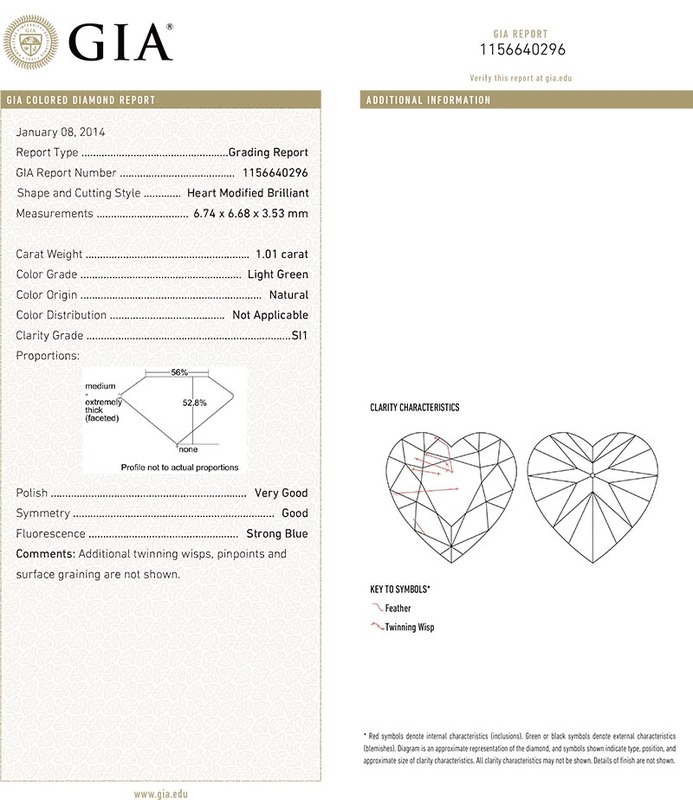 BA09715 Heart 1.02 ct. 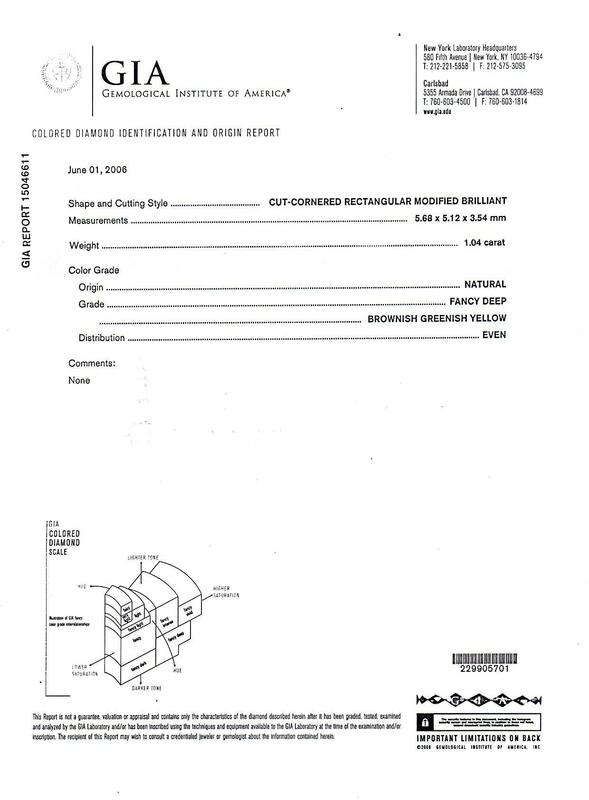 Fancy Light Green SI2 $28,560 View Comp. 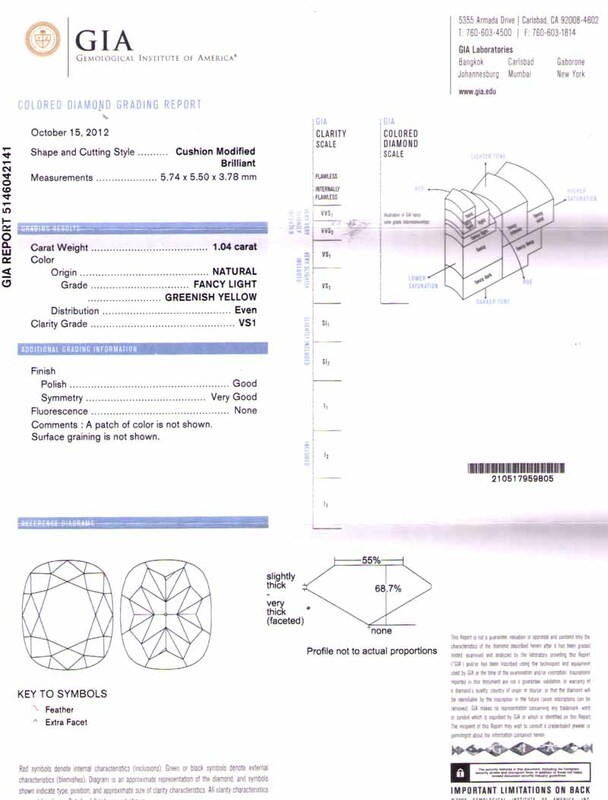 B8171 Pear 1.01 ct. Fancy Intense Green Yellow SI2 $9,090 View Comp. 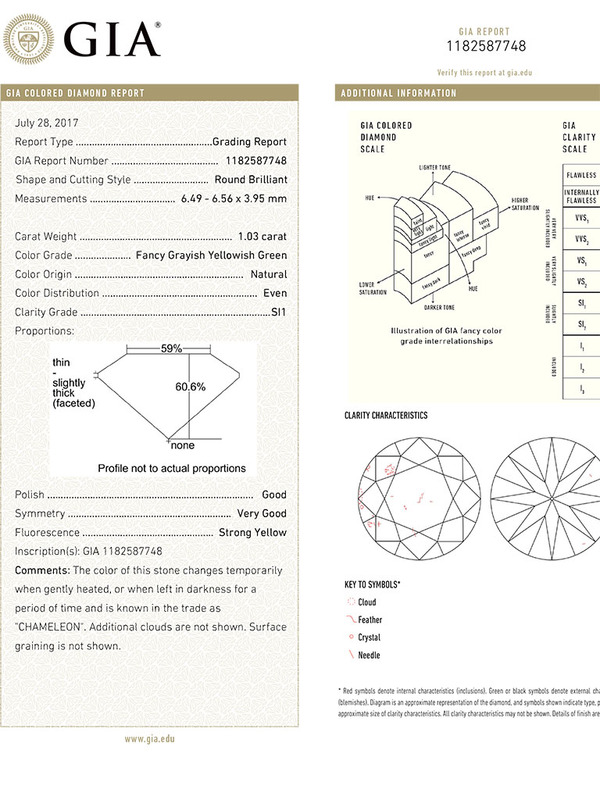 B8267 Oval 1.01 ct. Fancy Intense Greenish Yellow SI2 $8,585 View Comp. 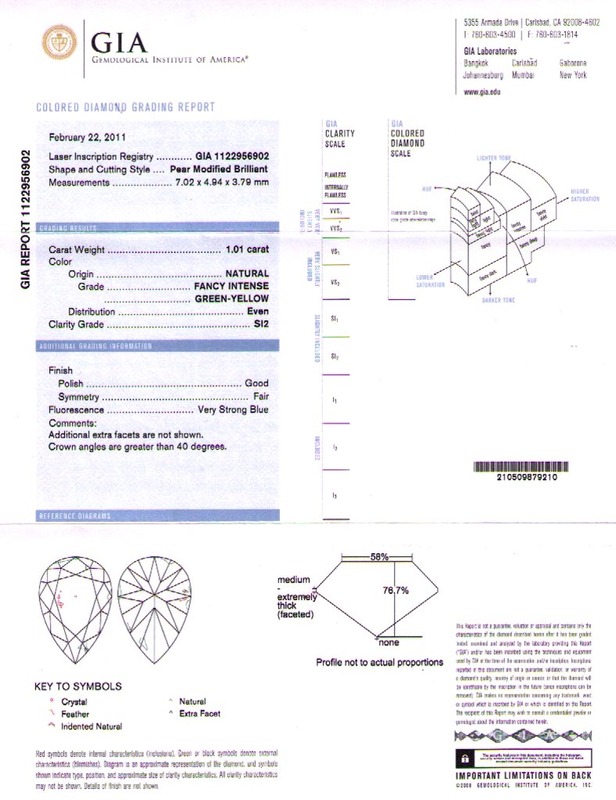 B8871 Heart 1.01 ct. Light Green SI1 $26,260 View Comp. 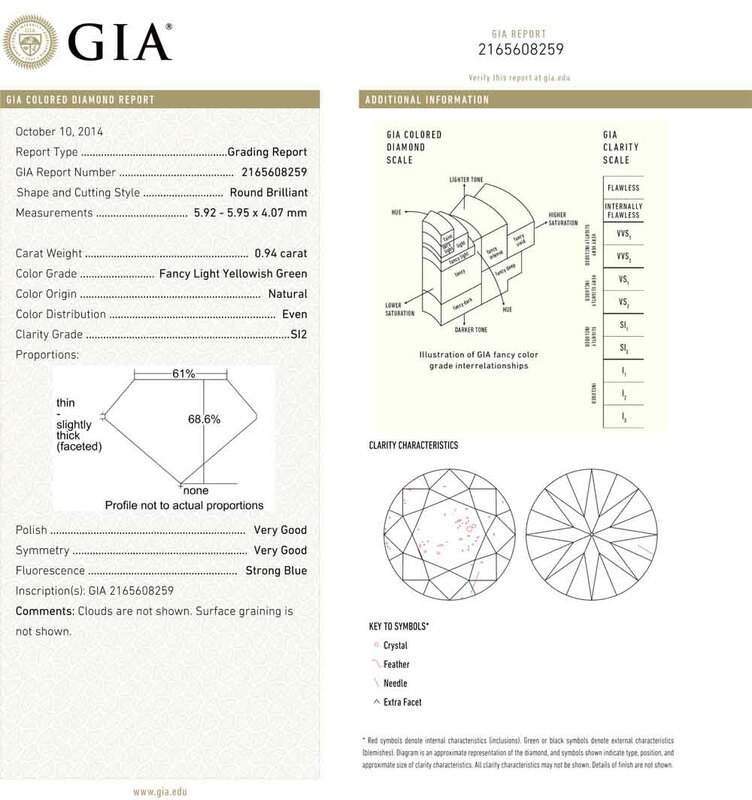 BA09558 Round 1.00 ct. Faint Green SI2 $7,000 View Comp. 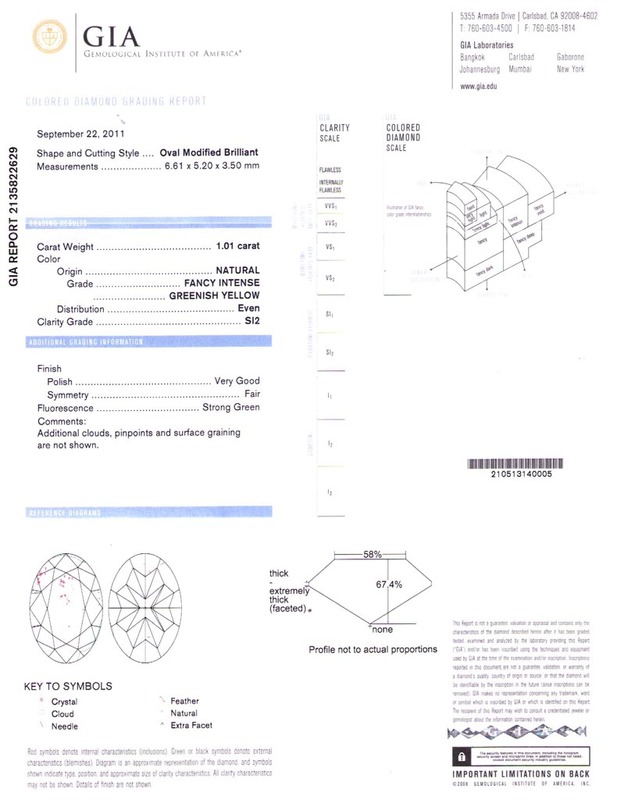 B8235 Cushion 1.00 ct. Fancy Deep Brownish Greenish Yellow $2,300 View Comp. B8571 Round 0.96 ct. Fancy Brownish Greenish Yellow SI2 $6,720 View Comp. 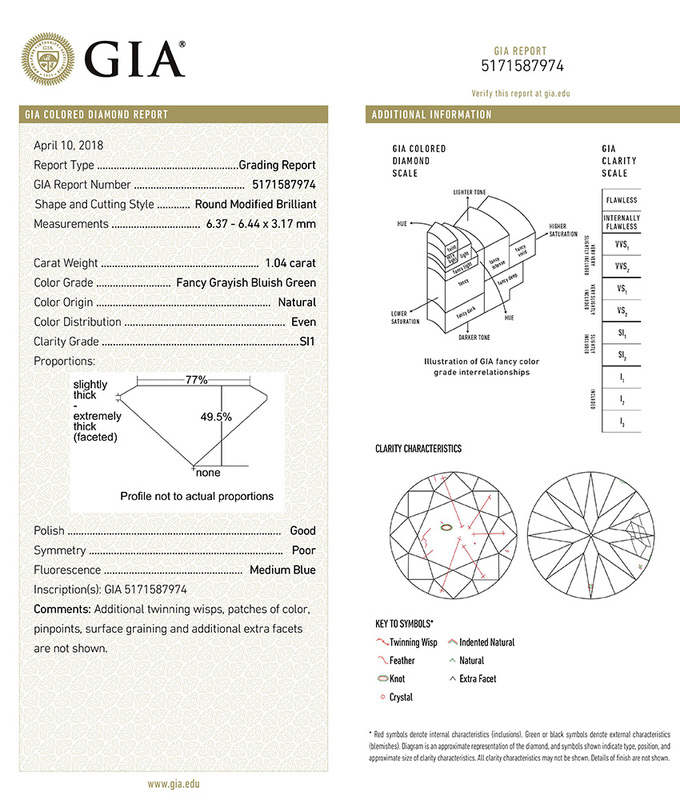 B8981 Round 0.94 ct. Fancy Light Yellowish Green $14,100 View Comp. 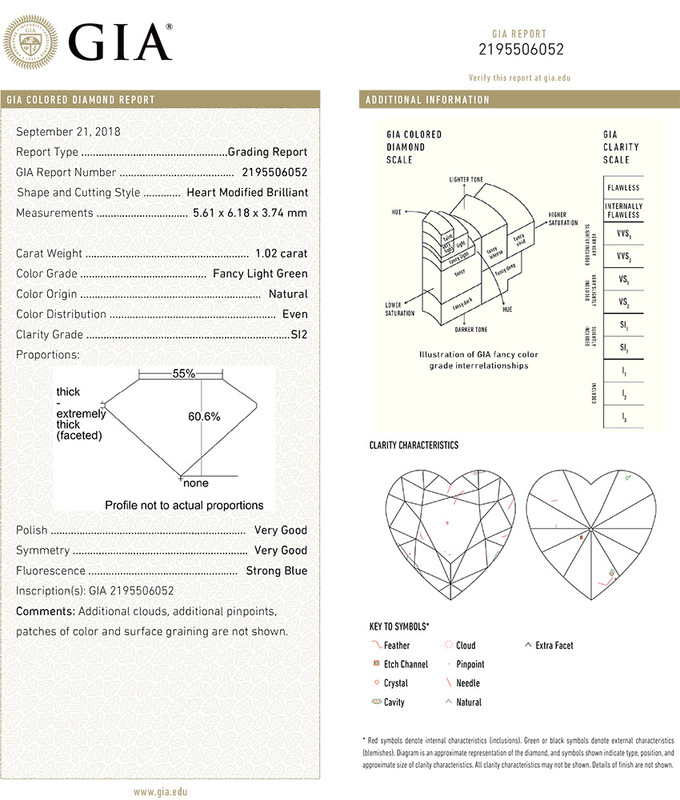 B9037 Cushion 0.89 ct. Fancy Yellowish Green VS2 $16,020 View Comp.